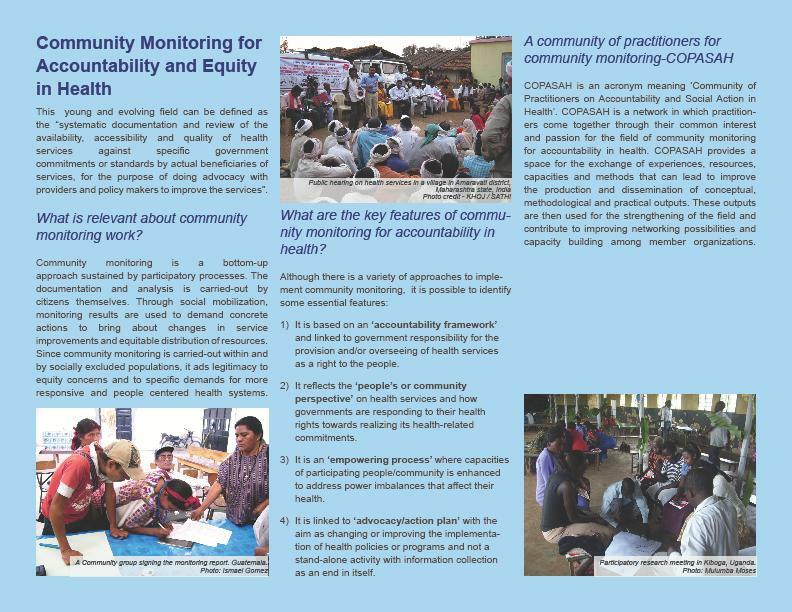 Communities are actively engaged in promoting accountability and transforming health systems towards the realization of social justice. 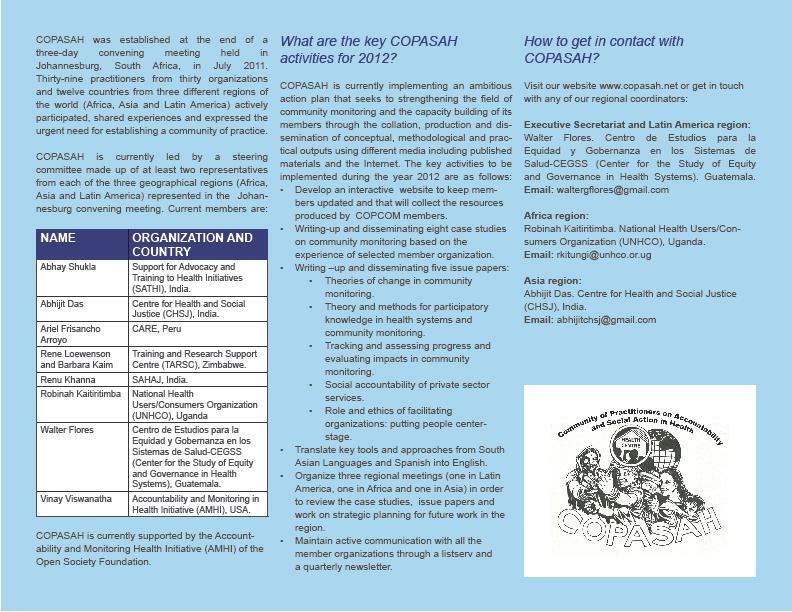 Our mission is to nurture, strengthen and promote collective knowledge, skills and capacity of community-oriented organisations and health activists - primarily from Africa, Asia and Latin America - working in the field of accountability and social action in health, for promoting active citizenship to make health systems responsive, equitable and people-centred. be linked to an action or advocacy plan which aims to influence or change health policies and programs.